Pop up Banners - Oval / Horizontal - Sports Marketing Opportunity! Oval horizontal pop up banners are eye catching portable advertising signs. You can set up and take these down in 30 seconds. They are wildly popular on the sports field for the sidelines of a game. They a a lightweight solution for advertising on the go. Oval Pop up Banners are eye catching and incredibly well priced for the advertising impact you get. They are printed in full colour peach skin fabric. 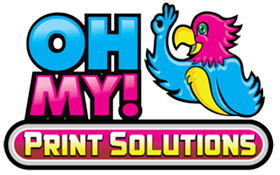 As they are double sided you can print 2 different design on each side with no limitations. 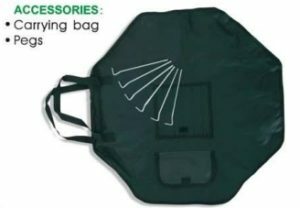 Each Pop out Banner kit includes a Oxford Canvas Carry Case and Ground Pegs. Oval Pop up Banners – Make a Big Impact on the Playing Field! Oval Pop up Banners come in 3 standard sizes. We welcome custom sizing as well. They are quick and also easy to set up. It is mainly useful for outdoor events, football fields. Trade shows, exhibits and stadium events. Outdoor marketing solutions must be rain and wind resistant. To ensure your branding stands out no matter what the weather. Oval Pop up Banners can be extra large. In order to stand out in front of a crowd of 1000’s of people. Made from durable and flexible steel and dye sublimation printing. On a high quality peach-skin fabric. You will feel amazing about how lightweight and quick they are to set up in less than 30 seconds. Horizontal Pop up Banners are also available in round, vertical and other shapes such as triangle can be considerable. FREE SHIPPING WORLDWIDE. Various cities across Canada such as Vancouver, Calgary, Edmonton, Regina, Saskatoon, Winnipeg. Ottawa, London, Toronto, Montreal, Quebec, Sydney and more. Areas in United States such as California, Chicago, Los Angeles, San Diego, San Francisco, Miami. South and North Carolina, Boston, Virginia, Ohio, Texas, Kansas and more. International locations such as UK, Australia, Germany, France, Dubai. Kuwait, Panama, Puerto Rico, Japan, Brazil, and more.